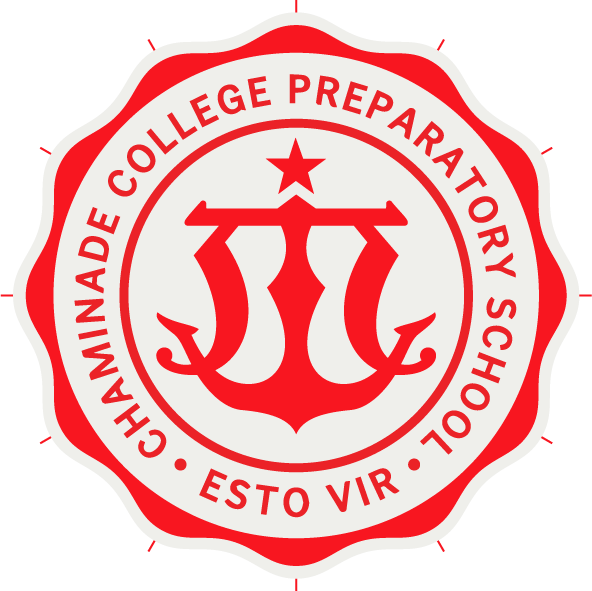 Chaminade College Preparatory School's motto is ESTO VIR, "Be a Man". 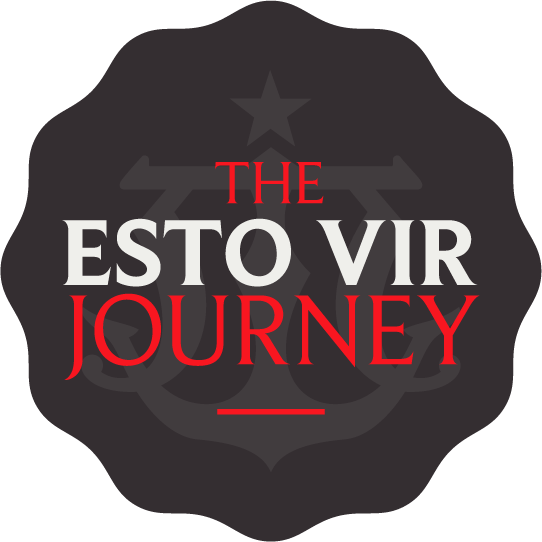 The journey from boyhood to manhood is a path that includes spiritual, educational and social development. 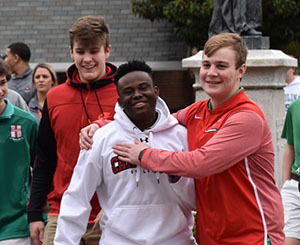 As a school for boys, everything at Chaminade is created from the perspective of how young men learn – how they play, build relationships, and see the world. Our school mission is to build a student's inherent skills, gifts and talents while realizing their potential as men. This is accomplished through our Academics, Formation of Character and Athletics & Activities. Chaminade is an excellent place for young men to learn, be a student and contributor throughout their lives. There is something here for everyone; academics, athletics, music, theater, the arts, and faith formation. Chaminade is an excellent place for young men to learn, be a student and contributor throughout their lives. There is something here for everyone; academics, athletics, music, theater, the arts, and faith formation. Our strong sense of community can be seen throughout our campus and among our caring faculty and coaches, involved adminstration, as well as our students and teachers that help lead a young main along his journey. 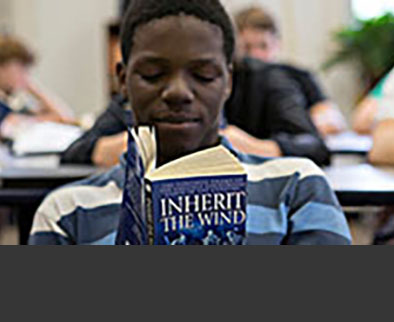 Chaminade provides a modern, academically challenging curriculum using personalized instruction. Our classrooms, averaging 17 students, are student-centered and address multiple learning styles of men. As a college preparatory program, Chaminade is committed to teaching young men HOW to be successful in college and in life. We believe students can be successful when appropriately supported. Chaminade's alternating block schedule allows for longer classroom experiences for debate, labs and deeper academic engagement. There is an intentional focus on Executive Function skills – how to learn, how to prepare, how to organize – skills that pay dividends throughout life. Our goal is for Chaminade students to enjoy their academic journey. Inspired by exchange programs our students participate in throughout Europe and Australia, Chaminade adopted a House System in 2003. The House System is not only how we organize the students, it is an intentional, daily program to build our sense of community. Think Harry Potter but without brooms, and add pickleball! Established in 2003, the goal of the House System is to further enhance the mission of the school by developing Marinaist leaders among the students, by providing a vehicle for pastoral care for all students and by strengthening the school community. Chaminade's House System provides the natural framework by which leadership and family spirit come alive each and every day. At its core, the House System allows students both younger and older to establish bonds while having fun at school. Chaminade's athletic program gives students an opportunity to compete in the Metro Catholic Conference (MCC), which is regarded as the most competitive conference in Missouri. Many of our teams are no-cut, providing an opportunity for all students to play; with up to 80% of students participating in at least one sport. 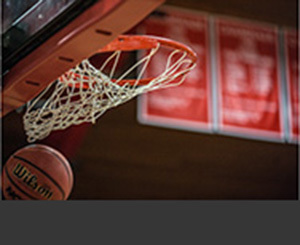 Our athletic program has become one of the most renowned in the region, with a rich history of success including numerous district, conference, regional state titles in football, soccer, cross country, basketball, hockey, wrestling, track & field, golf, lacrosse, baseball, bowling, volleyball and tennis. Chaminade's basketball team became the 2015-2016 state champions led by Gatorade Player of the Year, Jayson Tatum. There is simply no other school for young men in St. Louis that devotes as many resources to the formation of character. Chaminade's Campus Ministry assists student's growth in their relationship with God and provides opportunities to serve the world they inhabit through required community service. Chaminade students will complete over 160 hours of service upon graduation. Chaminade's Global Reach Program provides each student with opportunities not just to learn about the world, but the chance to explore it. Each year, every grade will participate in Experiential Education curriculum which takes learning beyond the classroom- hiking in the Grand Tetons, exploring the Tower of London and retracing the Underground Railroad. The mission of Chaminade's Global Reach Program is to prepare students for responsible global citizenship. Chaminade is committed to creating a global curriculum in which learning emphasizes the significance of proper action, where faculty and students are committed to meaningful lessons and collaborations in local, national, and global communities. Chaminade promotes global connectivity through our boarding program and travel programs that examine living and environmental conditions worldwide, and that build long-term human and institutional relationships. Each year, every grade will participate in Experiential Education curriculum which takes learning beyond the classroom, such as hiking in the Grand Tetons, exploring the Tower of London and retracing the Underground Railroad to name a few. Chaminade offers multiple ways for families to get involved. Our Mothers' Club and our Fathers' Club are among the most popular ways to become a part of the Chaminade family. The Mothers' Club is a very active, involved group and we encourage all moms to participate as fully as they can. Volunteering is very rewarding and a wonderful way to get to know other moms. The Fathers' Club is dedicated to providing enrichment opportunities for our students. Their mission is based on the principles of fostering a close union among the fathers and the school, providing opportunities for Chaminade fathers and sons to participate in social events and community service projects together, and partnering with the school in the promotion of the spiritual, intellectual, social and physical welfare of the Chaminade students. Our summer camp offerings have been developed to give you and your son a chance to sample all that our school has to offer – academically, athletically, and artistically. Summer is a wonderful time for young men and their families to take time to enjoy one another, their hobbies, activities and interests. Chaminade summer camps offer young men the opportunity to challenge themselves, create, laugh and enjoy. Our summer camps have been developed to give you and your son a chance to sample all that our school has to offer – academically, athletically, and artistically. Summer is a wonderful time for young men and their families to take time to enjoy one another, their hobbies, activities and interests. Chaminade summer camps offer young men the opportunity to challenge themselves, create, laugh and enjoy. Chaminade stresses not only academic achievement, but provides an environment where a young man's inherent talents and gifts are developed and celebrated. We hope to see you on our 55-acre campus during the summer; participating in camps like Reading Camp, BBQ Camp, Football Camp or Organizational Boot Camp. Chaminade College Preparatory School's commitment is that every student attends college, prepared and ready. We employ two full-time college counselors that begin the conversation with our families freshman year. Our average ACT is 27; in the Class of 2017 28% achieved a 30 or higher ACT, placing them among the top 5% nationally. Chaminade's average ACT score is 27. In the Class of 2017, 37 students (28%) achieved an ACT composite score of 30 or higher, placing them among the top 5% of all seniors nationally. That translates to matriculation to top tier universities and colleges. 75% of seniors graduation from Chaminade with college credit by participation in our PACE (Pathway to Accessing College Early) Program. For most Chaminade students, the school day does not end after announcements and the Three O'Clock prayer. In fact, much of what is considered "school" occurs outside of the traditional classroom, or beyond the playing fields. Young men at Chaminade continue their education and their lives together on the stage, in the band or as members of one of the school's clubs. For most Chaminade students, the school day does not end after announcements and the Three O'Clock prayer. In fact, much of what is considered "school" occurs outside of the traditional classroom, or beyond the playing fields. Young men at Chaminade continue their education and their lives together on the stage, in the band or as members of one of the school's more than 50 clubs. On any given afternoon, Chaminade students can be found doing a variety of activities. From cheering on the football team to performing community service to participating in theatrical productions, Chaminade's students can be found throughout the community making contributions. A core strength of Chaminade is its more than 7,000 alumni located throughout the world. We invite you to visit, either in person or through the website, and share in the vision of Chaminade as we move forward in pursuit of our educational mission. 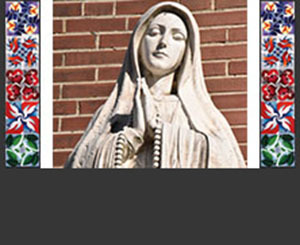 •	To provide an avenue to give input and support in religious, educational and alumni programs.